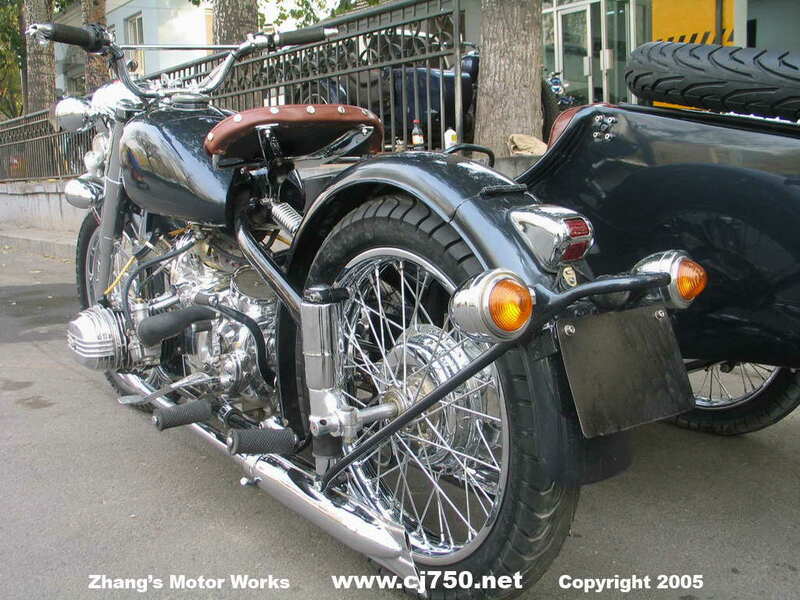 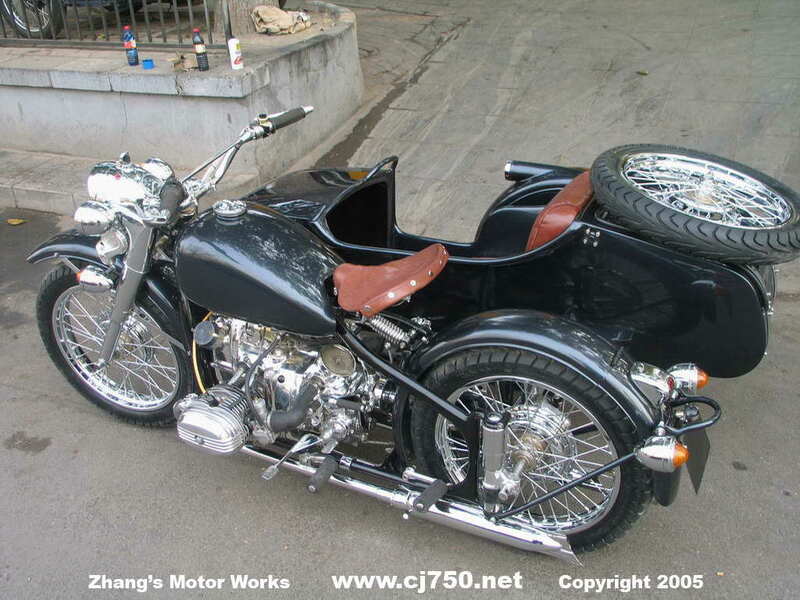 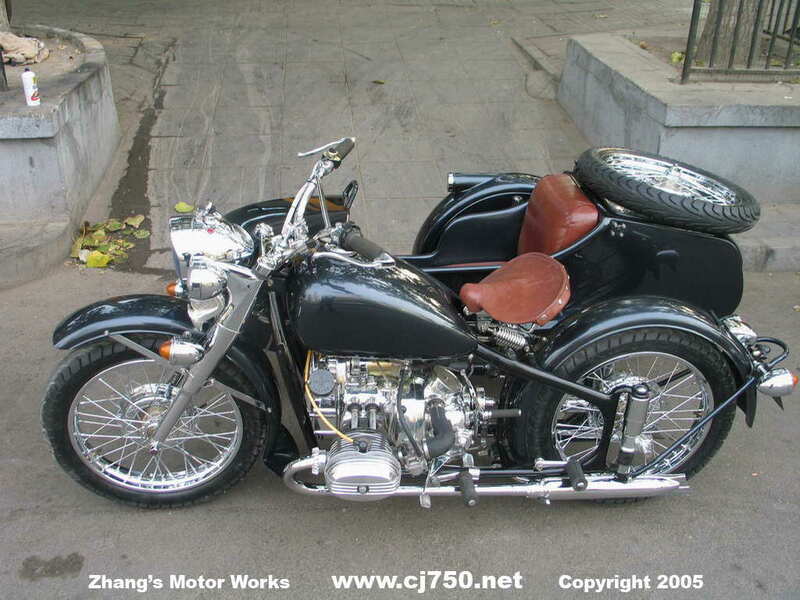 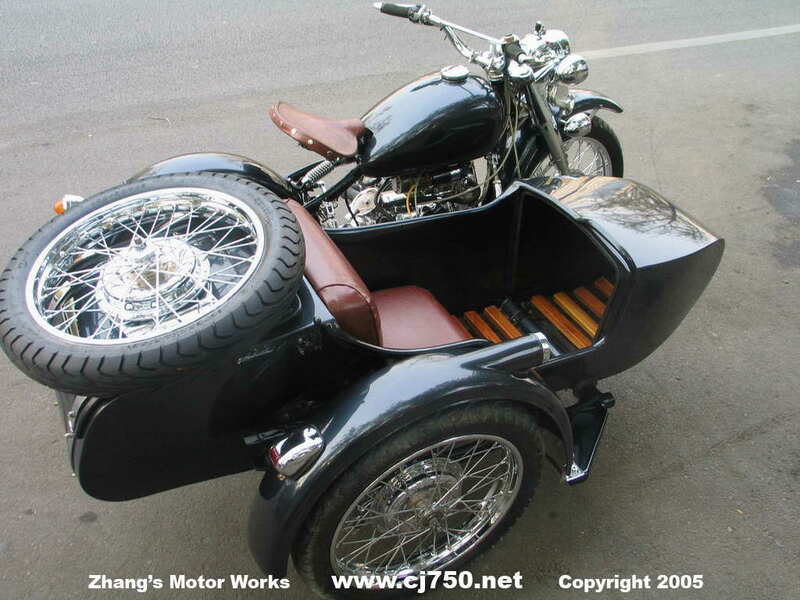 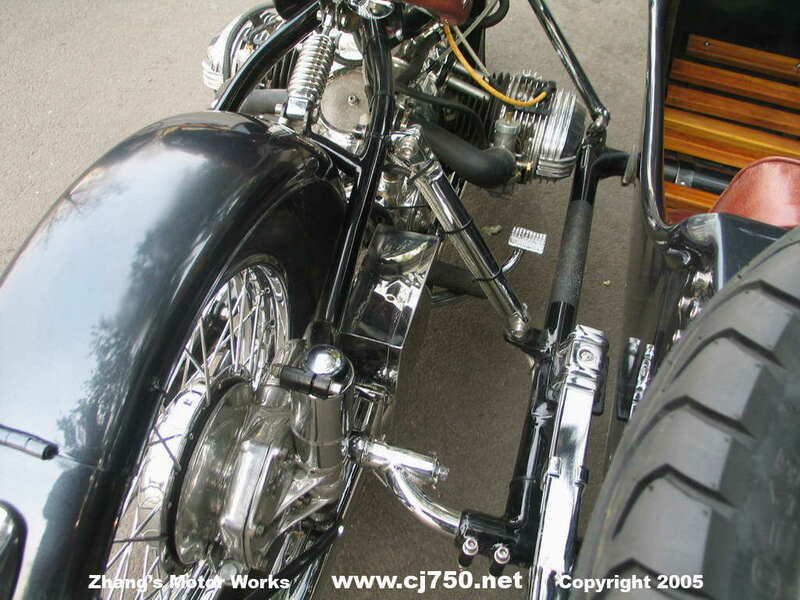 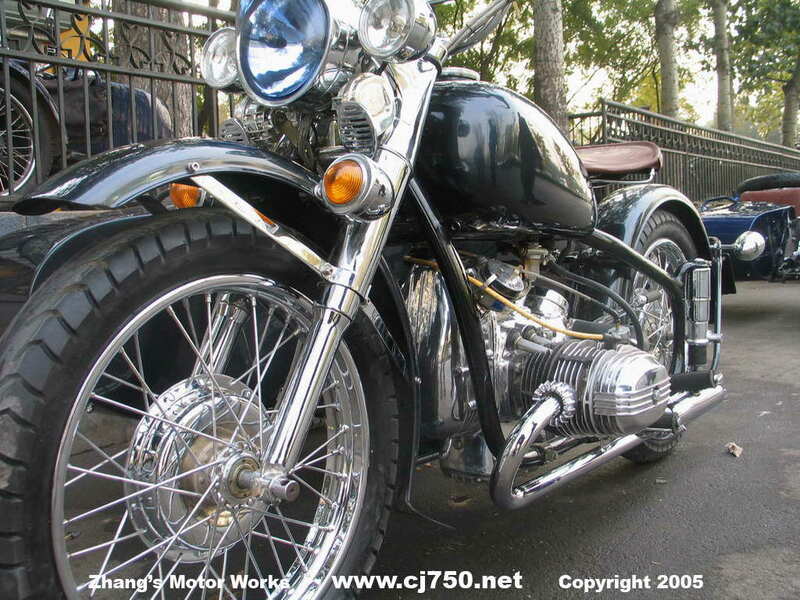 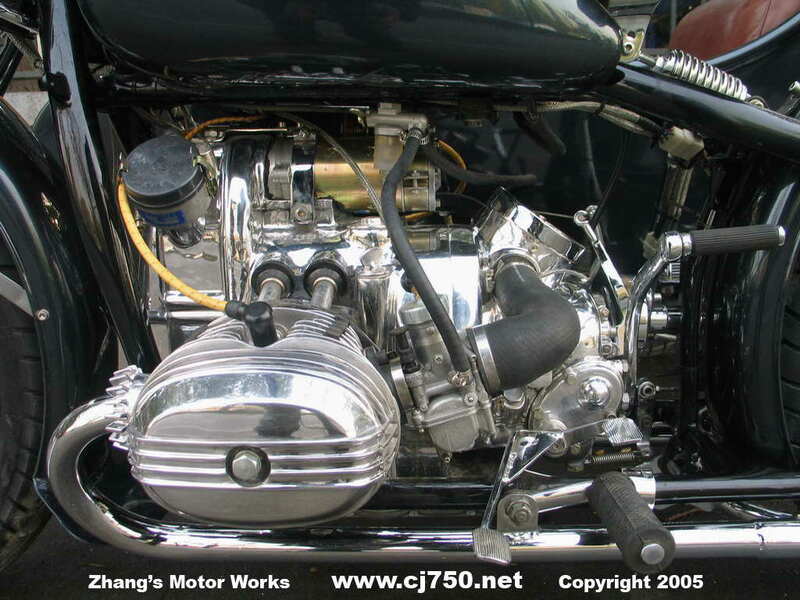 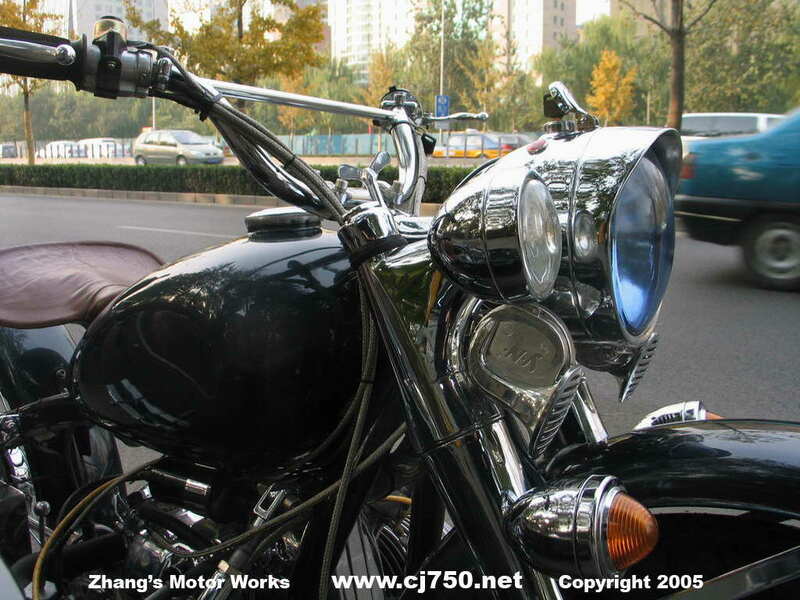 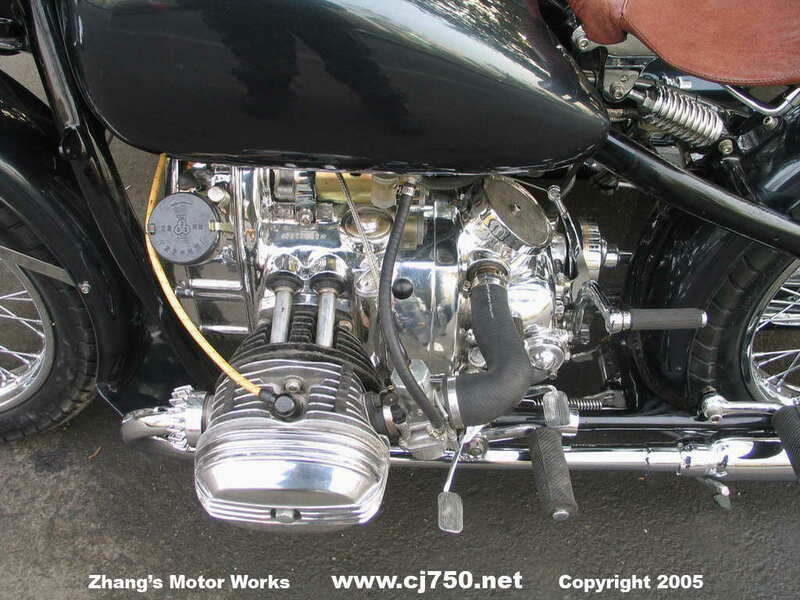 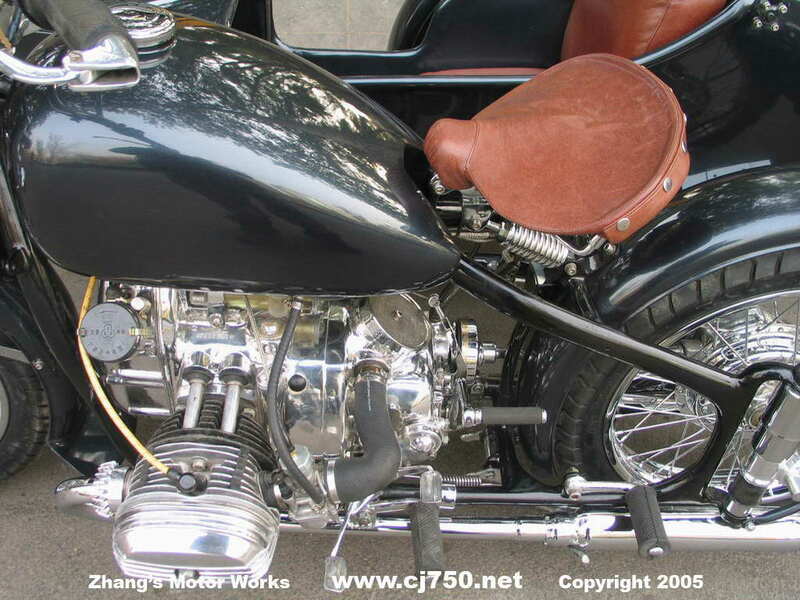 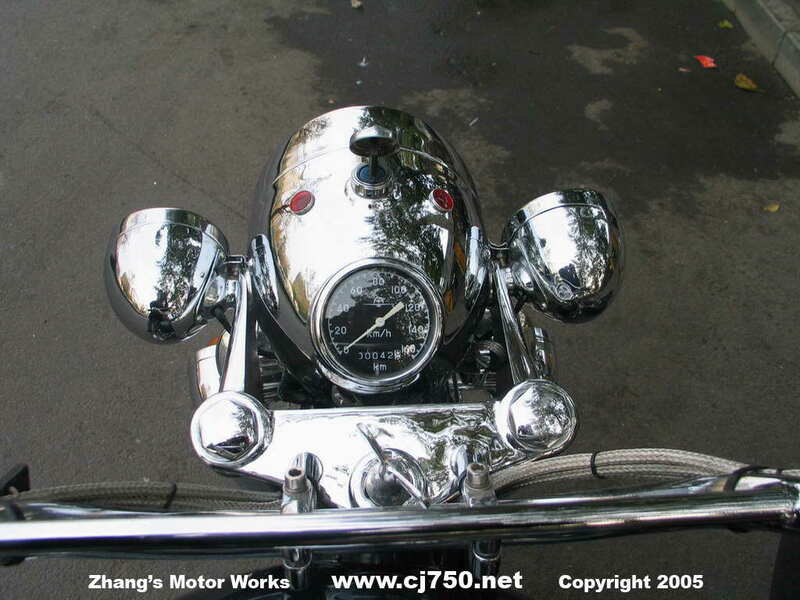 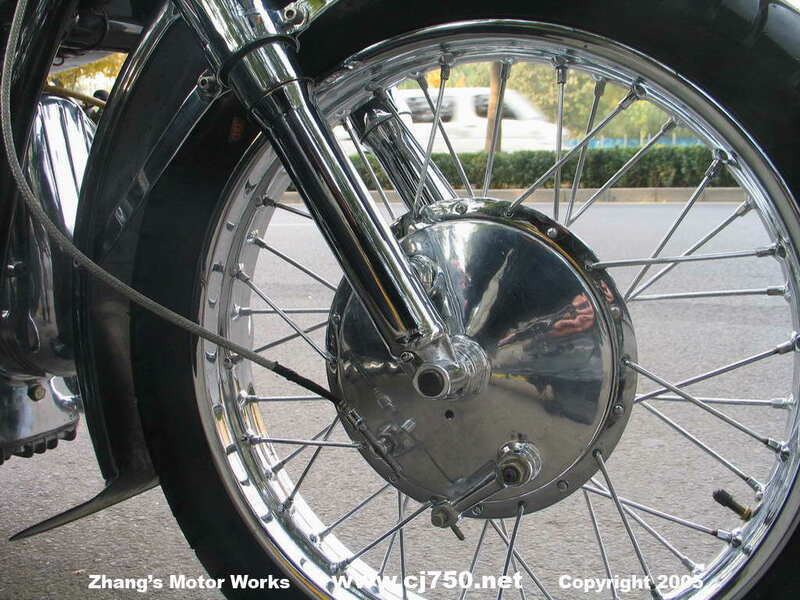 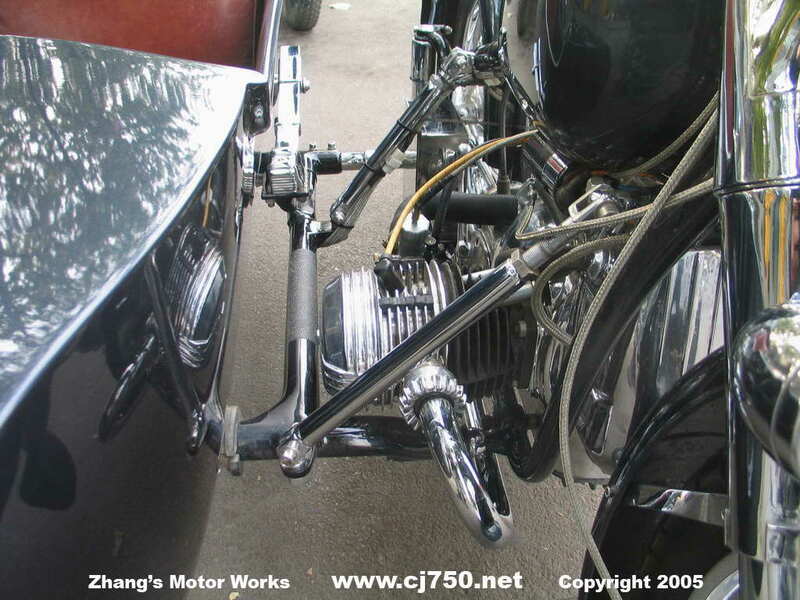 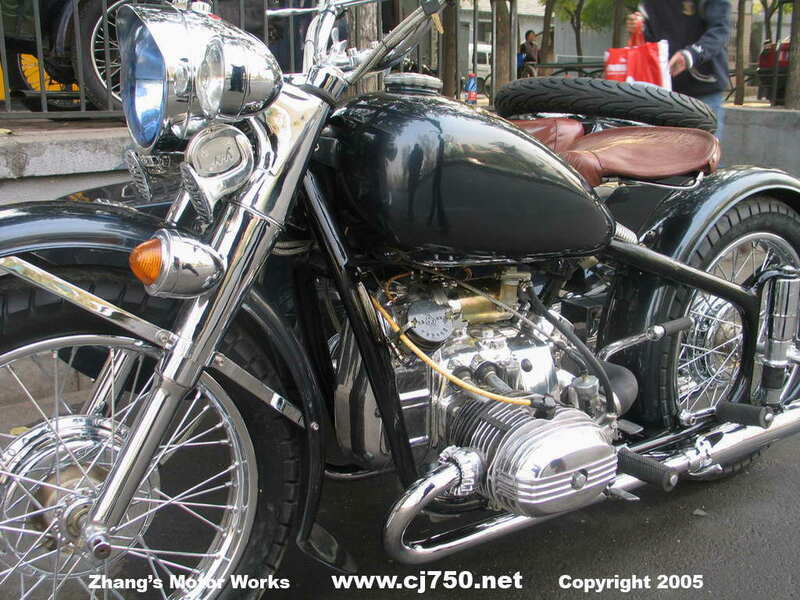 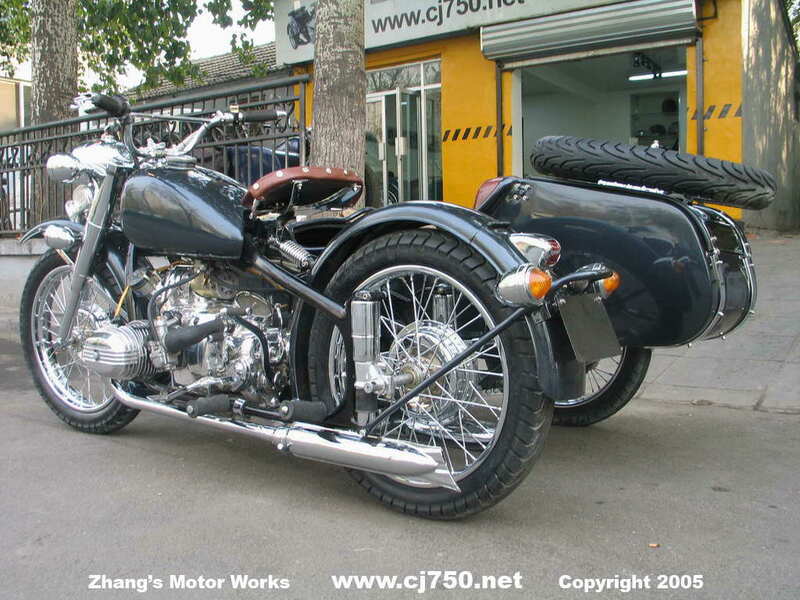 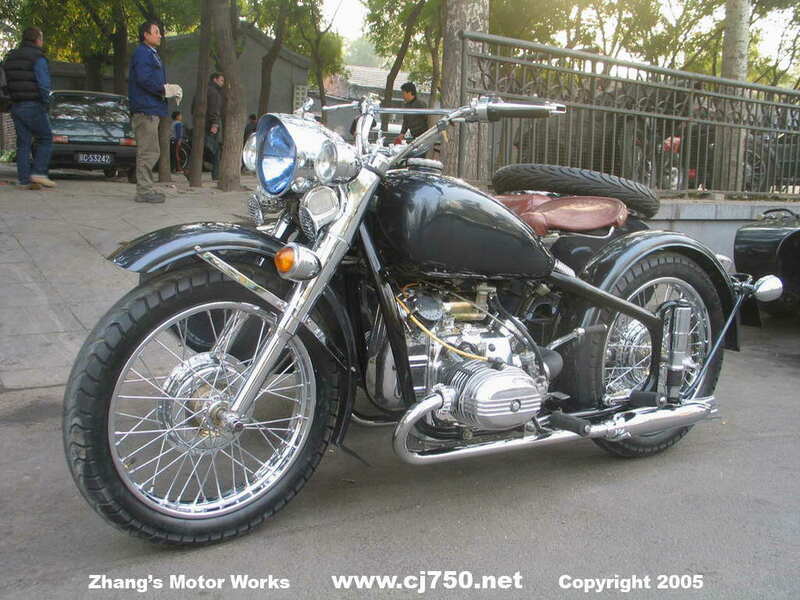 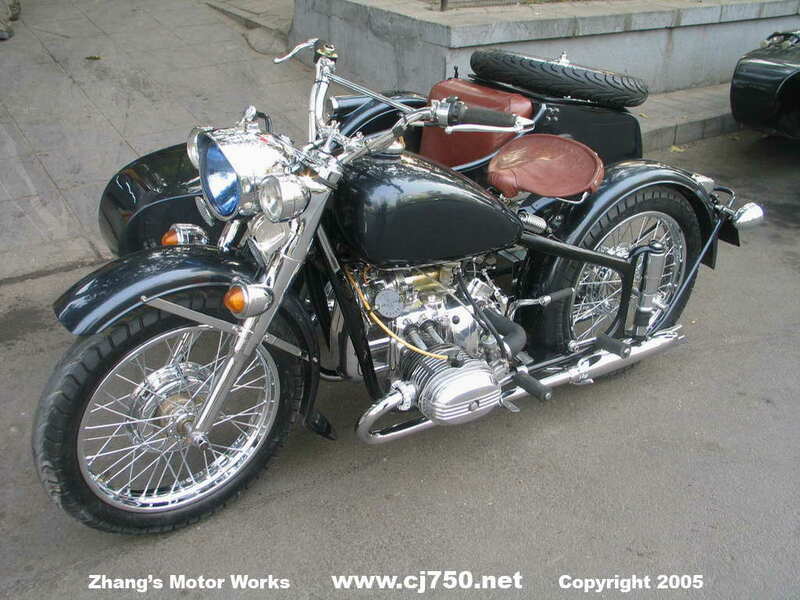 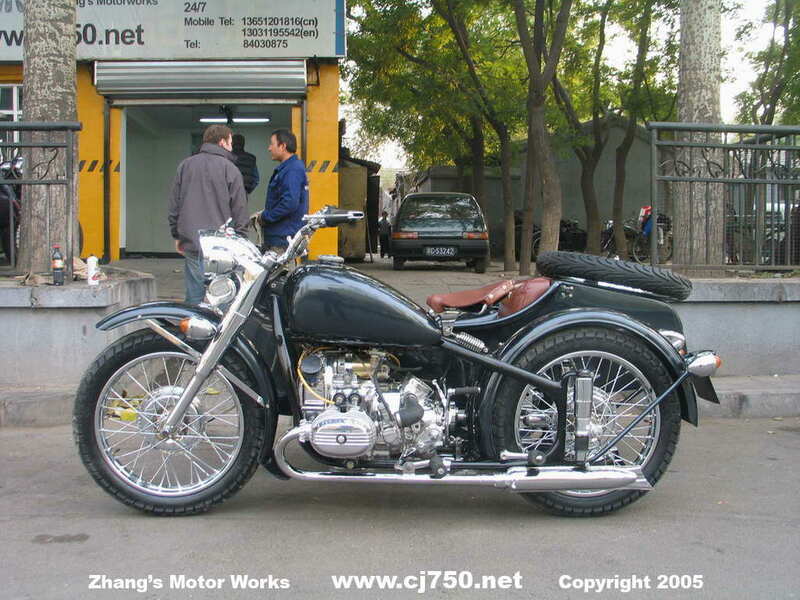 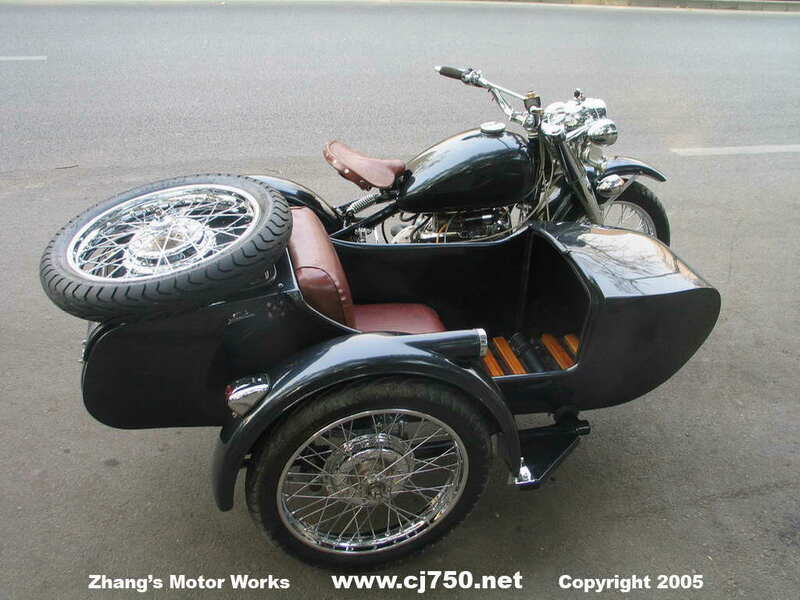 This Chang Jiang 750 sidecar is cruising around Shanghai. 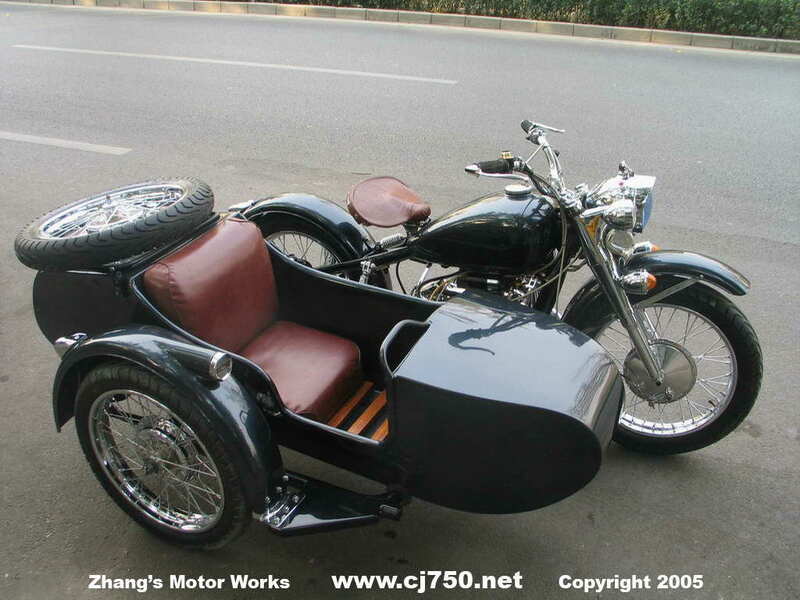 It has custom leather seats, sidebrakes, high performance carburetors, racing tires, battery in boot, hidden electrical system, fog lights, super polished engine, license plate light, excellent quality chrome, high speed 4th gear, maintainence free battery, halogen light, re-welded frame and 12 layer paint job. 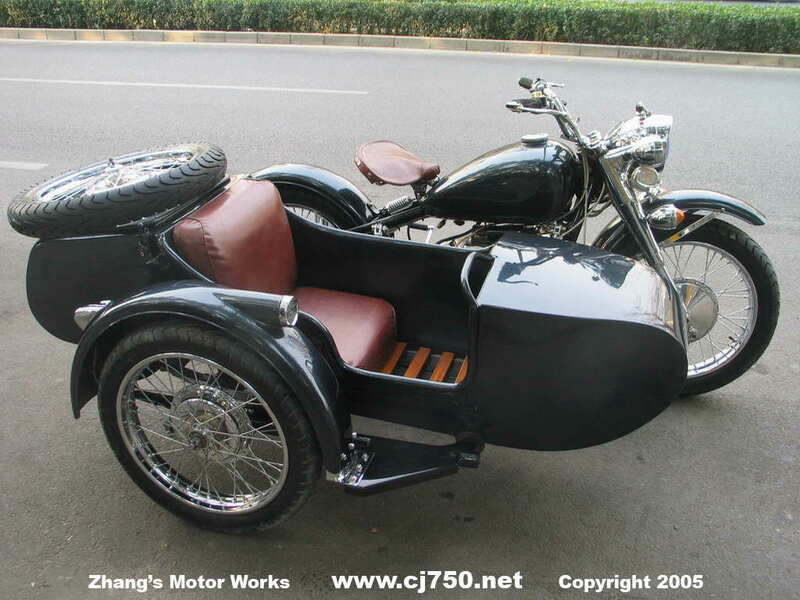 The customer was extremely satisfied that he ordered 4 of them. 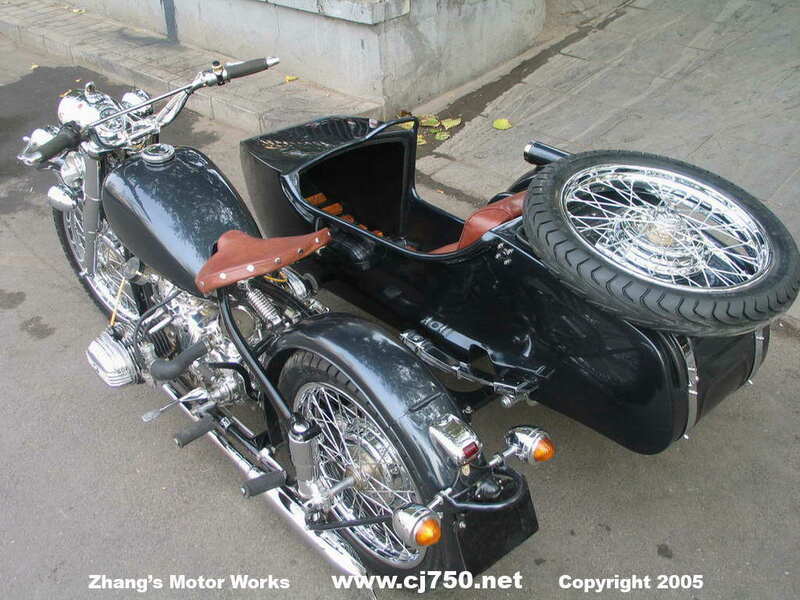 Check out our price list for more details. 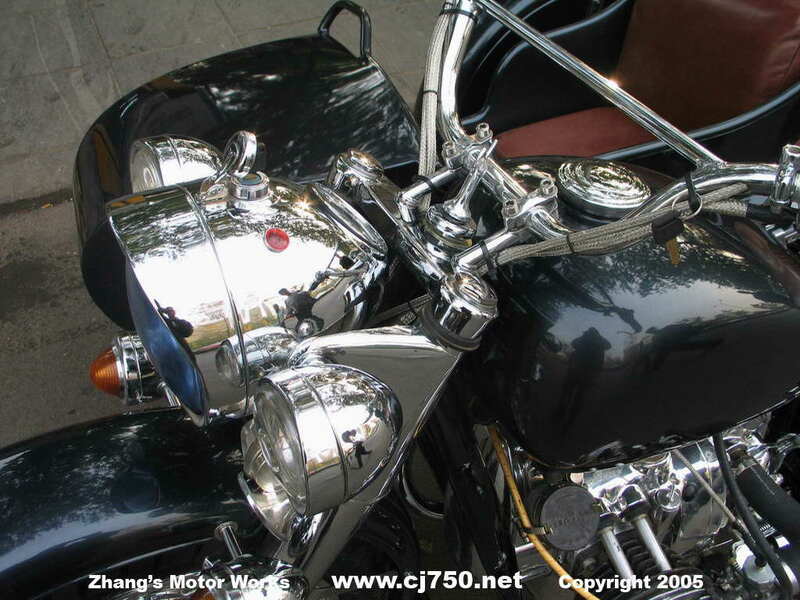 Please note that when ordering a premium restoration, the time to build it will require longer than usual because of the chroming. 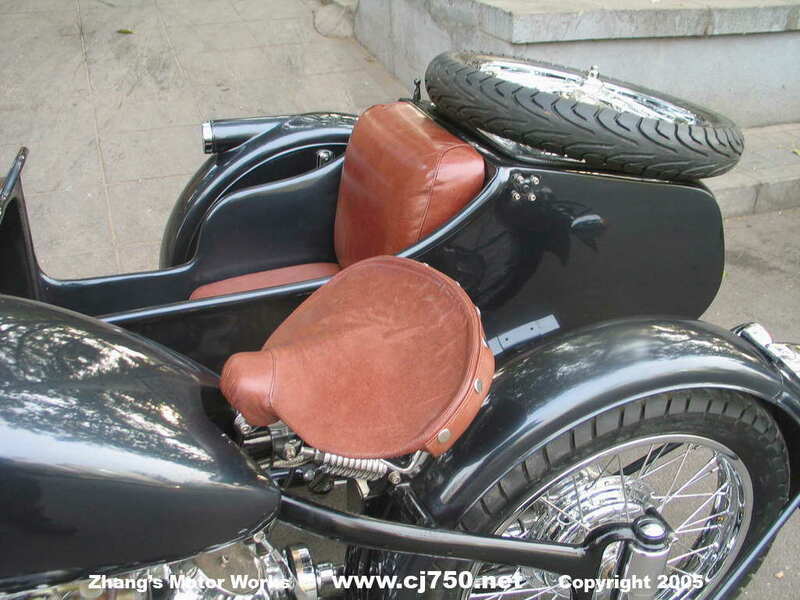 Check our our custom leather seats any style, paint jobs, and importantly we test ride all our sidecars before we give you the key.